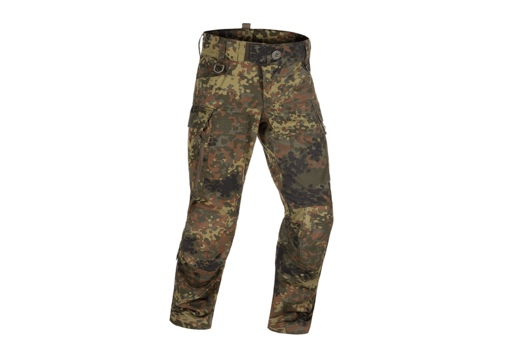 The Raider Mk.IV mission pant has been designed to be simple and lightweight assault pants, featuring extremely useful extras and greatest possible comfort for today's war fighters. It features an improved waist adjustment system with elastic components for better comfort and absorption of body movements. The pocket concept has been optimized; cargo pockets have been extended with an an additional compartment which is accessible from outside and holds a 30rds magazine for rapid access. Profound modifications apply to the knee area which is now equipped with a handy inward knee height adjustment. 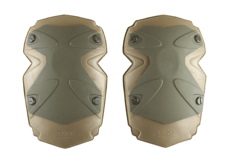 The modular knee pad compartment allows the use of a wide range of different knee pad inserts from different brands. We particularly recommend the optionally available TRUST HP from D3O which features outstanding knee protection. This pad can be installed via the the button holes which have been integrated for this reason into the pant conception. The Raider Mk.IV Pant's durability and body fit makes this it suitable for all battlefield missions and every day carry as well. The belt area is optimized for rigger & safety belts as well as for suspenders. Front Pockets allow fast and easy access also with gloves. Cargo Pockets provide a lot of space for your equipment and also include an extra zip-pocket. The inside knee area is equipped with Coolmax fabric to provide optimum sweat absorption. 'YKK' zippers and 'Coats' sewing threads have been processed, all main seams are triple stitched for extra durability.